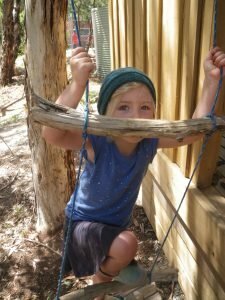 We have taken very seriously the wellbeing needs of children growing in today’s society; time for exploring and play in an outdoor environment tends to be very limited. There is a lot of evidence to prove that children benefit both psychologically and physically in nature. 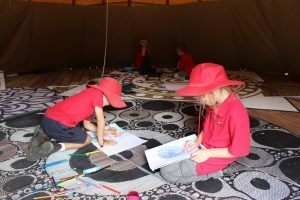 Upper Sturt Bush School provides children with the ability to use nature as a learning resource, and to inspire their curiosity and creativity. Teachers consistently review and reflect on their practice to ensure they offer purposeful learning opportunities for all children. Using the work of Sir Ken Robinson and Carol Dweck, we believe in the importance of children learning in spaces where they can continue to imagine and create throughout their primary school years. We facilitate children to understand the importance of believing in their abilities, knowing how they learn and to set goals for achievement. Teachers work at developing positive relationships, knowing this underpins values of respect and trust. Relevant and timely feedback helps children understand know how they are going. Explicit teaching clinics in English, Back-to-Front Maths, and General Knowledge is planned throughout the week.